Want to know more about the latest technologies and best practices in Big Data, advanced analytics and machine learning. The big data and advanced analytics field provides plenty of opportunities, but do you know how to capitalize them. Log on here and deep dive into real-world scenarios, use cases and practical tips on how to kick-start a career in one of fastest developing field, data and analytics. The 3-month Big Data Career series launched by UpX Academy will feature industry leaders talking about big data and analytics opportunities and will field questions on how to build a career path in this next-gen technology, now a de facto industry standard. 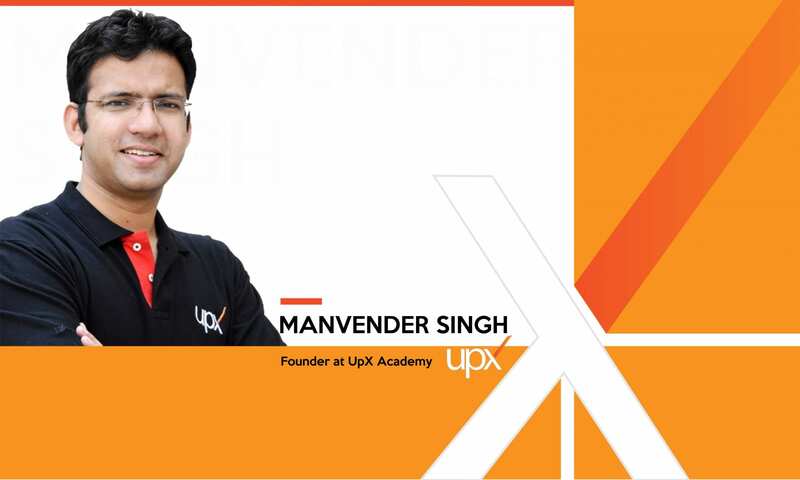 In an exclusive chat with Analytics India Magazine, Manvender Singh, CEO of UpX Academy gives us the lowdown on the need of an industry-led career session and why it is the need of the hour. [dropcap size=”2″]BG[/dropcap]Bhaskar Gupta: First of all, a very big thank you for taking out time to speak to our audience. It’s a pleasure to have on-board leaders like you, who like us, very strongly believe in the power and potential of analytics. [dropcap size=”2″]MS[/dropcap]Manvendar Singh: Thank you for having me here. It’s a pleasure to talk to the audience of Analytics India Magazine. BG: So, we heard that you’re conducting India’s first Big Data Analytics Career Series, a first for the analytics industry in India. Can you tell us about something about this initiative, why you decided to launch it? MS: This is a series of events taking place over 3 months where we have invited Big Data analytics & Machine Learning thought leaders from some of the marquee companies across the globe. These experts use next-gen Big Data practices and they will talk about the latest techniques and technologies used by organizations to derive business value from Big Data. And, most importantly they will field all the career related queries as well. Through each session you will gain first-hand information from Big Data practitioners on how big data analytics is put to use in a real-world scenario. BG: So what made you organize this one-of-a-kind series at such a massive scale? MS: The whole idea behind conducting this series was that more and more people want to get into this incredibly exciting space. But with the hype, there’s been a lot of misinformation as well and most people don’t know how to enter these fields, given they come from technical and non-technical background. They somehow think that just learning concepts or joining a course will be enough but the reality is different. It’s about knowing what exactly the industry requires. Through this series, we will address frequent questions like what it takes to build a career in Analytics, what kind of roles does the industry have, can freshers get into this industry, how can working professionals make a career switch to these roles after having say 10+ years of experience. We bring in industry experts just to address these types of questions. For example, we had recently conducted an industry immersion session with Sandeep Tompala- Senior Manager, Data Consulting at Vodafone India. This session saw a huge turnout and Sandeep shared great insights and also explained the reasons behind Vodafone shifting its data science practice from Pune to Bangalore. We wanted to have more such events where useful insights like these could reach a greater audience. BG: Who are the speakers who’ll be headlining this series? MS: Like I’ve mentioned earlier, these sessions will happen over a duration of 3 months. We have roped in big data practitioners from top companies like Amazon, Amadeus, Barclays, eBay, Facebook, Hortonworks, HP, Microsoft, Twitter, Salesforce and many more. For example, a Machine Learning Specialist at Microsoft will talk about how Microsoft plans to integrate data in its vision and strategies and also about the kind of products Microsoft is planning to launch in this space. We’ll have a Big Data expert from Hortonworks, which you’d know is the second biggest company in world that provides big data platforms. This expert will talk about how several companies have been using the platforms at Hortonworks and also about the applications, opportunities and challenges of big data. We have another very interesting speaker who is a Data Scientist at Amazon. He will be talking about how Amazon uses data analytics to process the thousands and millions of orders that it receives on a daily basis to aid customers in making better purchase decisions. So these are some of the profiles of the speakers who will be conducting this series. BG: How do you think attending this series will benefit potential candidates? MS: We strongly believe in being that academy that gives a great end-to-end learning experience to all our students. Our courses focus on making students learn and practice these technologies hands-on. But with these sessions, our students will get to know how and where this can be applied to in the real-world setting. Even people who have undergone training elsewhere will benefit from these sessions as they get to successfully connect the dots between whatever they’ve learnt and how it’s actually being used in reality. BG: Who can attend these sessions? MS: These sessions are open for all! Right from college students to industry professionals, in fact anyone who is interested in these hot and emerging fields should attend this career series. BG: Where are these sessions being held? MS: The best part of all these events is that they’ll place online. So anyone from any part of the world can attend these sessions! Through this we aim to have a platform where analytics enthusiasts from all over the world get a chance to interact with the industry experts and get all their questions answered. BG: When will these sessions be taking place? MS: These interactive events take place over the weekends for 1-1.5 hours. So those who are interested in attending can easily attend these without having to compromise on your schedule. BG: Would the attendees have to pay something to attend these sessions? MS: Not at all! These sessions are absolutely free of cost. We believe that the best of the knowledge should be available to everyone! BG: What makes you conduct these events for free given that these are high-value sessions? MS: I’ve said earlier too — we exist to provide quality education in big data analytics. Our core mission is to not only educate people by providing courses or training but also make students well-equipped for the industry requirements. We want everyone, irrespective of whether they’ve enrolled with us or not, to benefit from these sessions. BG: Thank you for your time Manav! It was great speaking to you! We are sure that many of us are excited to be a part of this massive career series and get some great value out of it! MS: Thank you Interviewer for connecting me to the AIM audience again. We look forward to seeing many of you there.